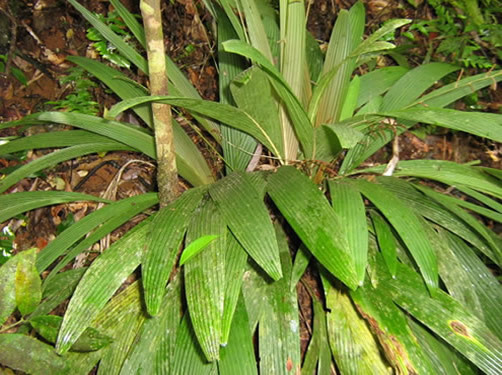 So here are some habitat photos of Dypsis angustifolia note the inflorescence (flower) in the photo below. Habitat photo showing new red leaf. 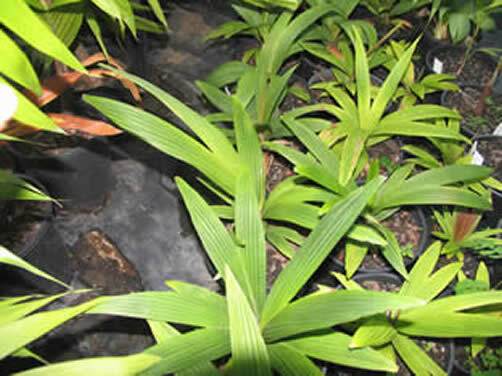 Seedlings of Dypsis angustifolia. 140mm pot. 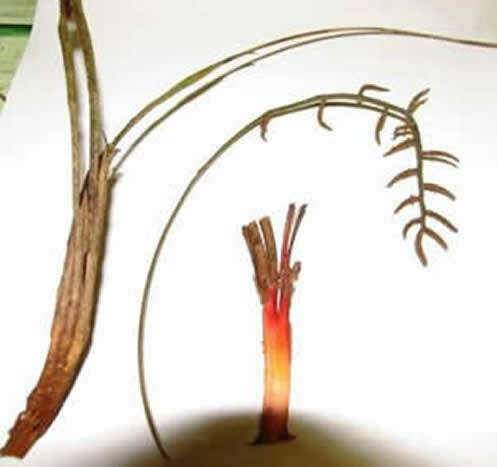 As you can see with the photo below that this species/form is near impossible to tell apart from quite a few other species at this size, especially with this new red leaf which i had not seen with Dypsis angustifolia before. 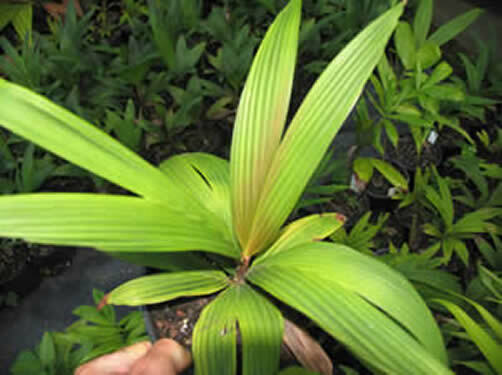 Dypsis angustifolia broad leaf form, now here is a form of a species that does not live up to its name.! This Palm has been sold under the Name Dypsis louvelii, there are a few species that as seedlings it's very hard to impossible to tell apart from Dypsis louvelii, here are just a few the first is Dypsis Pulchella with this species even when they are mature it's near impossible to tell this species from louvelii unless you look at the flowers and the stamens, then you have Dypsis mocquerysana these look very simular as small plants as well. 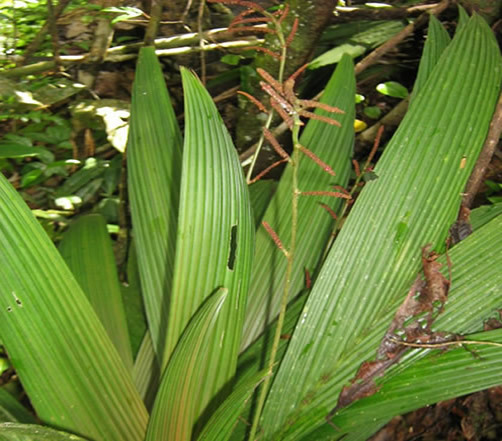 Then we have Dypsis angustifolia this seems to have at least two forms the thin leaf form as listed in Palms of Madagascar and a broader leaf form, which can have a reddish new leaf in the form shown above...! This is what has been sold as Louvelii in the last few years so you just might want to check your plants, unfortunately you will not be able to tell that it's not Louvelii until they start to clump, and then once they flower you can be 100% sure of what you have, so i will list some photos here of the inflorescence of Dypsis angustifolia and some of the habitat photos of the mature plants so all can see what these plants are going to grow into, not all of these will have new reddish new leaves but they will all clump and they do all look to be this broader leaf form, which I thought was lost quite a few years back when a large section of bush was cleared with this broad leaf form in it, but this form although I only have a few plants from this old locality did not seem to have this new red leaf like the ones from this new locality.